It’s time to face the facts. Your kid’s room is at the point where the federal government wants to condemn it as a radioactive waste site. Not even you are brave enough to go in there anymore (though, strangely, junior doesn’t seem to mind it). But what would the neighbors say if a real Hazmat team actually showed up? It would be even more traumatizing than that scene in E.T. where G-men invade Elliot’s home and turn it into a giant disease lab! And worst of all, house calls from Hazmat teams cost a fortune (we speak from personal experience). Luckily, there’s an easy solution that will not only save you needless embarrassment, but also teach your kid a thing or two about personal responsibility. This Child Hazmat Costume will allow him or her to finally clean that pigsty of a room without having to worry about growing a third arm. And it’ll have plenty of other uses once that room has been declared safe for human habitation again. Is there a bug going around Billy or Betsy’s school? No problem. They can avoid every playground plague when you zip them up in this stylish yellow suit. Heck, they might even start a new fashion trend! But we know it can be tough to get the little ones to try new duds. 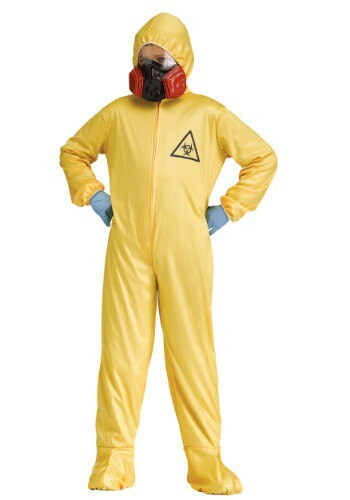 That’s why the Child Hazmat Costume comes with a respirator mask that even adults wish they could have. 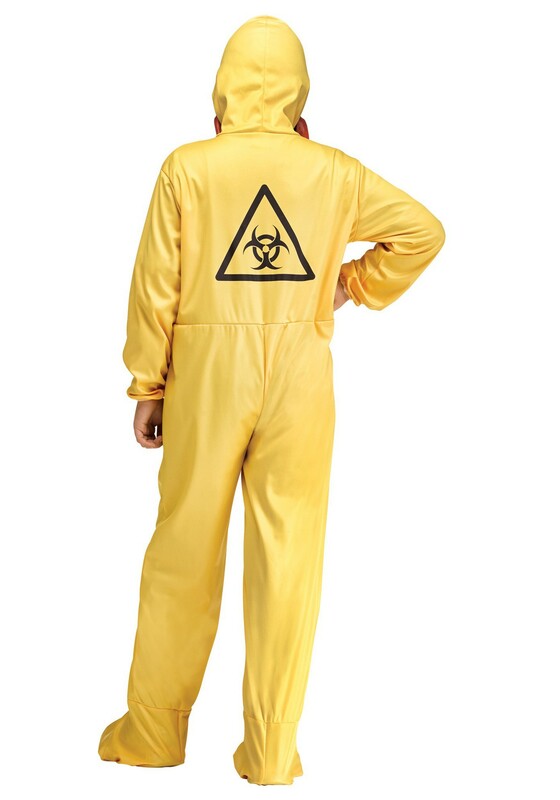 And that recognizable, ultra-trendy Hazmat symbol is printed on the front and the back of the suit, making it the coolest (and most radioactivity-resistant) onesie on the market! 66/5000 Really very very very very very very very very very good !!!!!!!!!!!! !